The number of lottery winners who’ve come forward and made an announcement about their sexuality isn’t that impressive but these stories are definitely intriguing. The world of lotteries has seen a couple of individuals that haven’t been afraid to tell the world exactly who they are. We’ve compiled some of the most touching and intriguing instances of gay people winning the lottery. Imagine the following scenario – you’re gay, you win the lottery and you have homophobic parents. What should you do? No, this isn’t a theoretical question. The scenario occurred in real life and it involved one lucky guy who won 15 million dollars. This lucky guy had no idea what to do with the money, which is why he asked the online community for assistance. On November 2015, a Reddit member posted a question and asked the community members for advice. The original post is quite lengthy, but in essence, it explains that a 29-year old gay person has won more than 15 million dollars. The winner shared that he’d like to take investment courses, increase the number of millions and donate some of the money to a charity. Needless to say, the story went viral quickly, and several media did reports about the gay winner. 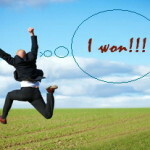 Originally, the winner was intending to help parents pay off their mortgage. The problem stemmed from the fact that his mom and dad didn’t support their son after he made the decision to come out. In fact, it got so bad that the parents practically decided to disown their son. In time, the original poster made an update to the Reddit post. He wrote that the family met his boyfriend and was making baby steps in the right direction. Regardless of their previous behavior, the son still decided to go ahead and help his parents. He emailed them with information about what they could receive from his lottery millions. The Reddit post suggests he’s waiting for their reply. We have no idea how the story went, but one thing is certain – regardless of being terrible to their child, these parents did raise one good son! The second story we’re going to take a look at is completely different from the first one, bringing our faith in humanity back. Gloria McKenzie was just a regular 84-year old lady from Florida. Gloria had one little pleasure she enjoyed every once in a while – buying lottery tickets. The life of Gloria changed suddenly in 2013 when she purchased a little piece of paper that brought her 590 million dollars. Needless to say, the media went crazy about the lady that won one of the largest PowerBall jackpots in history. They asked her numerous questions, the most important one being what Gloria intended to do with the money. Without much hesitation, Gloria said that she was going to share the jackpot with her 57-year old gay son. Scott, 57 and his 65-year old partner are supposedly the only other people to benefit from the millions, regardless of the fact that Gloria has other children. You may think that the trio went all extravagant, but according to media reports, Gloria and her son didn’t go immediately on a spending spree. In fact, their lives didn’t change all that much after hitting the jackpot. Chances are that they’re saving the money for something fabulous in the future and we wish them all the best. Alright, after doing a bit of digging around, we’ve found out that the gay winners who aren’t afraid to share who they are with the world isn’t limited (good on them!). 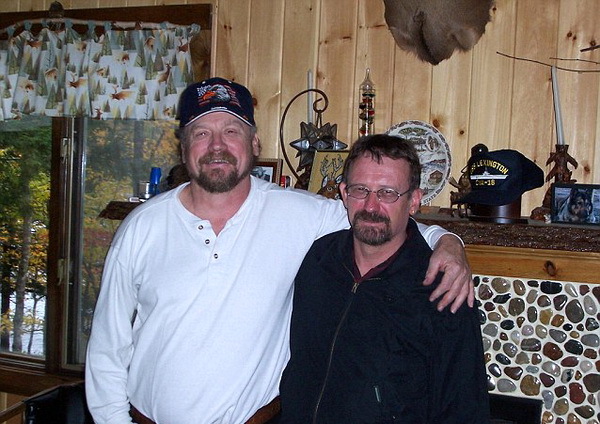 Here’s another mesmerizing story about a gay couple that experienced the most amazing life change. 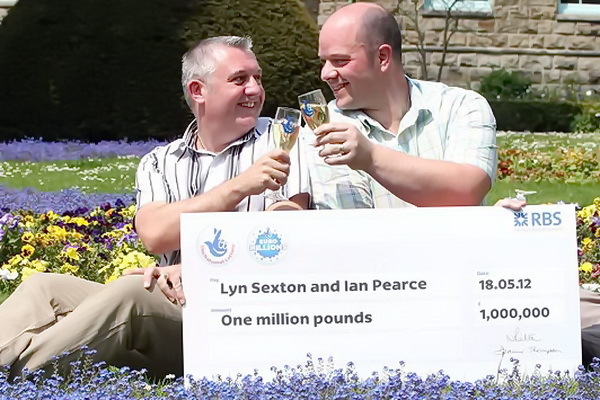 Civil partners Lyn Pearce and Ian Sexton bought a EuroMillions ticket on a whim. Needless to say, the couple was massively surprised to find out that they’d won one million pounds! 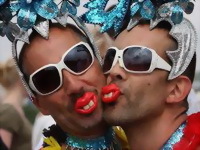 Pearce and Sexton have been together for 16 years and they’d been in a civil partnership for six years (the couple won the major award in May 2012). In an interview, the two men said that they were already enjoying a wonderful lifestyle and that they’d take some time to decide about what to do with all of the money. Unlike the gay guy in the first stories, both Pearce and Sexton have good relationships with their family members. This is the main reason why the two men said that they’d be taking the people they love on an exciting vacation in some wonderful, exotic place. The couple also had plans for expanding their property and getting a much dreamed-about swimming pool. These are just three really cool stories. Some of them are heartwarming, others are a bit sad. Still, these show that luck doesn’t discriminate (and neither should you!). Everyone can win the lottery, as long as they’re willing to put a bit of money and a bit of instinct in the purchase of a lottery ticket. 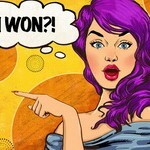 And now that we’ve shared these exciting lottery win stories with you, we’ll be more than excited to hear about yours! I Won the Lottery! What Now?